As we all know, breakfast is the most important meal of the day. I hear people every day, "I don't eat breakfast because...[insert crazy reason here]." I can honestly say that when I eat breakfast I eat less during the day and I'm able to make myself feel as if I'm eating more by supplementing with snacks. Snacks are the best thing since...I don't know what, but they are indeed the best. Snack time in kindergarten? Remember that? There was reason why we took turns bringing a snack for everyone to enjoy. There was a reason why we had recess in elementary school. It was to eat S-N-A-C-K! But I digress. We are supposed to be talking about breakfast. Let's save snack for another day. Breaking the fast. To go without food (especially for a personal or religious reason) is called a fast. Ending that period of time in the morning is what we call breakfast. And this morning, my friends, what a break it was! 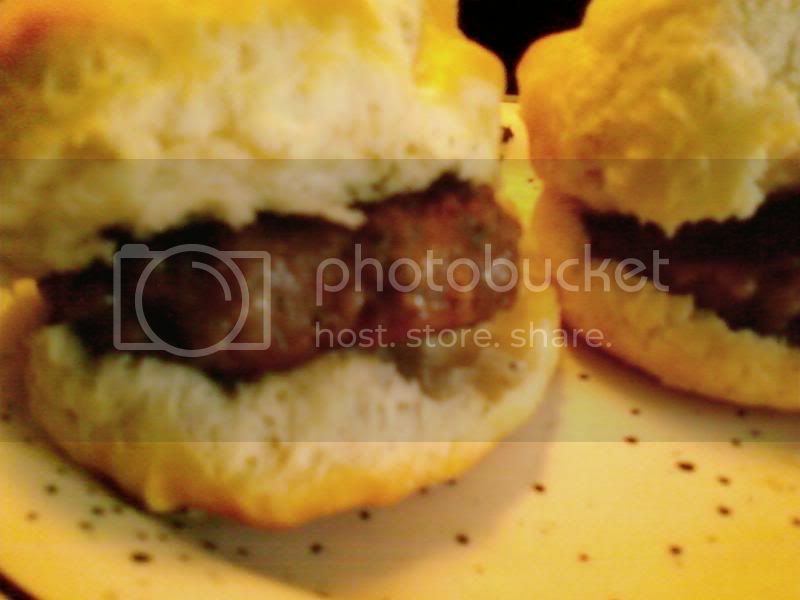 I made homemade pork sausage with biscuits before going to work. The following recipe isn't difficult but I suggest you make them on a day when you're not rushing out the door to meet the kids' school bus on time. Combine all ingredients in large bowl; mix well. Cover and refrigerate at least 1 hour or up to 24 hours. Heat large skillet over medium-high heat until hot. Use 1 tsp canola oil to grease pan so patties don't stick. Add as many sausage patties as will fit without crowding skillet. Cook sausage patties 4 minutes, turning halfway through cooking. Reduce heat to medium-low and continue until no longer pink in center. The sausage mixture will keep in the refrigerator for up to 3 days. To freeze, portion into a cylindrical shape (or other managable portions), wrap in plastic wrap and again in foil. Recipes are only guidelines, not an exact science. Only when baking should you follow recipes to the letter. The measurements above are to my personal tastes. I love spice. I love pepper. Spice aids in digestion and ground black pepper is the simplest form of spice I know. I encourage you to tweak the recipe and find what suits you best. I use kosher salt because it flakes over the food evenly resulting in the need for less salt. 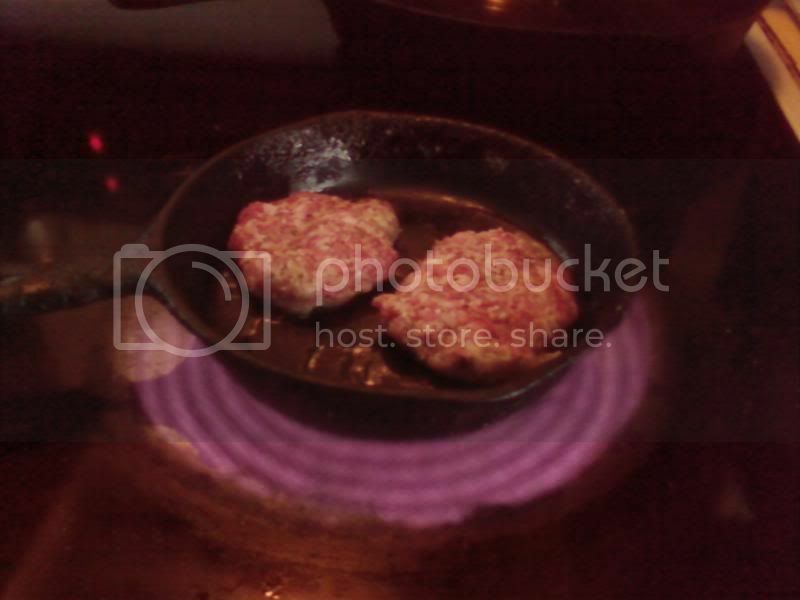 The sausage patties formed and ready to cook in the pan. I love the way the flat top stove looks with its coils all aglow. It makes me feel all warm and tingly inside (or outside if I hold my spatula too close). I use a cast iron skillet for EVERYTHING because it is durable and holds heat well after you turn off the eye. The biscuits! 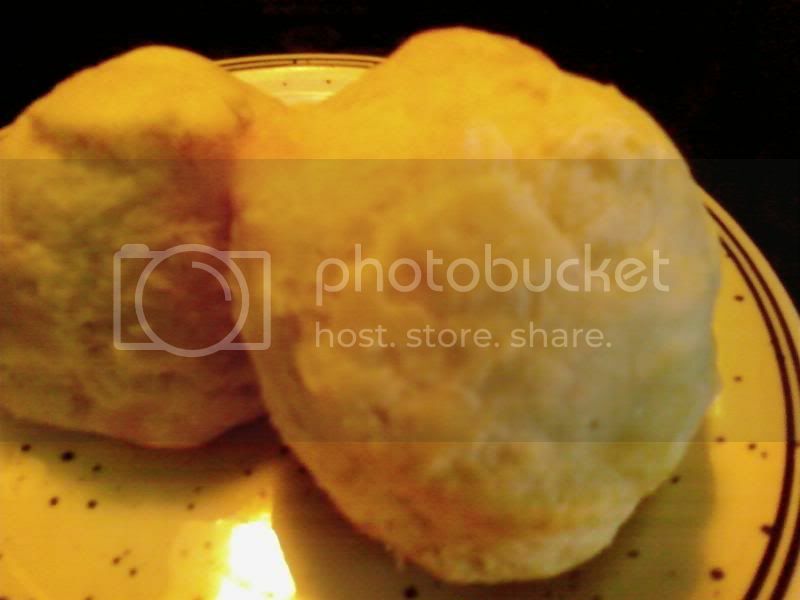 If you don't know how to make a biscuit, you must not be Southern. And we won't hold that against you. A box of Bisquick in the pantry will do just fine. On the fly, I use the Heart Smart Bisquick because it is low in fat, cholesterol and high in calcium and fiber. To make these biscuits taste better (because sometimes low fat means low taste), I add Molly McButter to the mix. My breakfast. I added a cup of grapefruit juice, a multivitamin, and I was on my way to greatness. these look like the most amazing sausage biscuits ever! !